Do you know what a screen reader is? It’s a piece of software that allows the visually impaired to read text on their digital devices. Digital law specialist Heather Burns wrote on the pros and cons of screen reader analytics. It’s an interesting read. You see, screen readers are not browsers. They sit on top of the browser. So Google Analytics can’t tell you if any of your website visitors are using them. 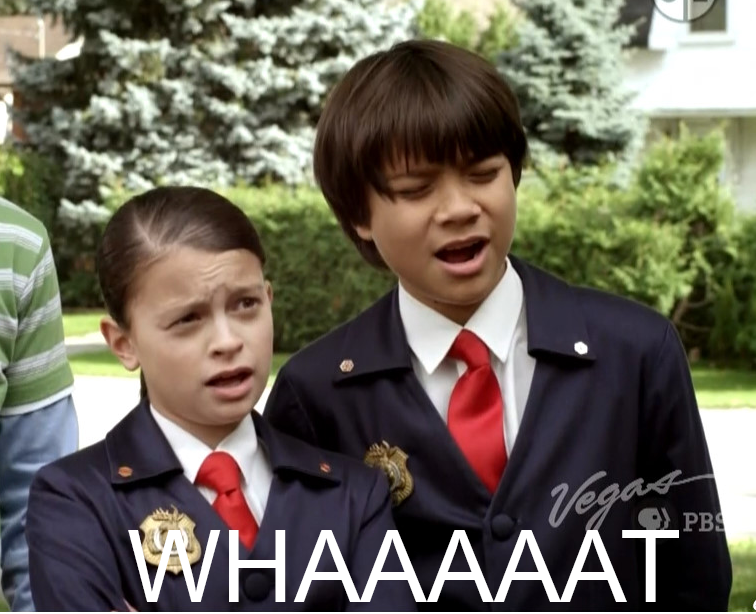 This image was taken from an Odd Squad episode. If you don’t know what Odd Squad is, you should find out. Okay, calm down. I love data. I especially love data that can help to improve the user experience for all users. Client: We’re concerned that visually impaired users can’t use our website. Could you take a look at our Google Analytics and tell us if folks with screen-readers are having trouble using the site? Me: I’d really love to, but unfortunately, GA doesn’t record that information. But we can try to do some user-testing in the community to see how things are working. Client: That sounds like a great idea! I’ve had this conversation about 3,732 times. Me: I’m concerned that this feature on your website may not be available to users with disabilities. Client: Well, can you go into our Google Analytics and see how many users with screen readers we have? Is it even a problem if no one is using screenreaders? Me: Google Analytics doesn’t record that kind of information. We can try to do some user-testing in the community to see if this works. Client: We don’t have budget for that. Besides, blind people aren’t our target audience anyway. Once all digital managers think like Tim Cook, maybe I’ll change my mind. But while there is no digital equivalent of the Americans with Disabilities Act*, I’m willing to sacrifice the data. * No, Section 508 does not guarantee that all websites are accessible. Don’t get me started. That’s another blog post for another day.